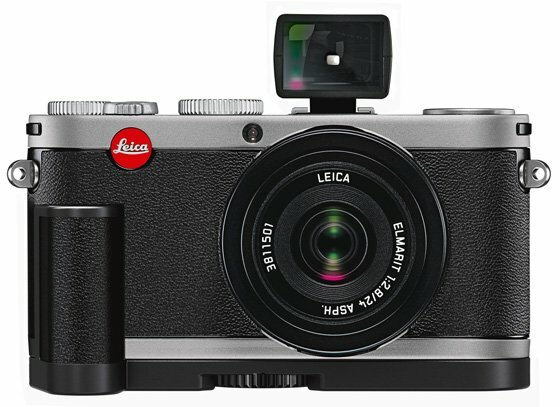 Review The X1 is Leica’s first expert digital compact that, along with some top quality optics, lives up to its billing by offering easy access to manual controls akin to its bigger and pricier brother, the M9. It has no rangefinder focusing to match the M9 either, instead the X1 relies on an LCD screen and an optional clip on optical viewfinder. There's no facility for interchangeable lenses, with just a fixed 24mm f/2.8 lens (equivalent to 36mm on a 35mm camera) in front of a 12.2MP, APS-C CMOS sensor with an ISO range between 100 and 3200 and a maximum shutter speed of 1/2000th of a second. Although the X1 has been out for a while, it seemed timely to put it through its paces as Leica has updated the firmware for this model to addresses some of the issues affecting the original release. Among the listed tweaks are improvements to the camera’s focusing performance and JPEG quality. At £1425 the X1 is the most expensive compact currently on the market, but is the premium price tag justified? Although potentially competing with other APS-C compacts such as the Fujifilm X100, the Sigma DP2 or the Samsung NX100, the X1 is no ordinary compact and not only for fitting such a large sensor in a diminutive body. Leica relies on a customer base of faithful professional photographers but also on wealthy, keen amateurs who buy into the brand as a status symbol as much for its precision optics and outstanding picture quality. In both appearance and modus operandi, the X1 resembles a shrunken M9, with its smaller stature further enhancing its retro 35mm looks. It maybe small, but at 60 x 124 x 32mm and 286g, it’s not exactly pocketsized. The X1’s all-metal body has a black textured, leather trim that gives it a luxurious finish and a professional feel. Yet despite lacking a hand or thumb grip the X1 fits well in the hand and the round edges make holding quite comfortable. Leica does provide a screw on handgrip that makes accessing the top dials much easier but it comes at an additional £92. 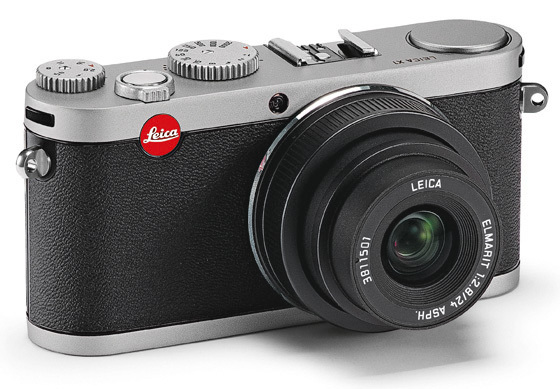 In line with Leica’s general design criteria, the X1 has a minimalistic yet functional approach to camera control. Large, metal shutter speed and aperture dials dominate the top plate – only the most essential shooting controls have dedicated access, the rest being menu driven.